Phil Kurdunowicz is an analyst within the Policy and Strategic Initiatives Section at the Michigan Department of Health and Human Services. Phil helps with coordinating health policy initiatives across state agencies and external partners. He specializes in policy projects that are related to behavioral health services, long-term supports and services, health information sharing, and privacy laws and regulations. Prior to his time with the Department, Phil served as a policy intern at the U.S. Department of Homeland Security and a research assistant at the University of Michigan. 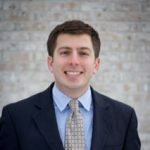 Phil received a Bachelor of Arts in Public Policy from the University of Michigan in 2010, and he is currently pursuing a Master in Health Services Administration at the University of Michigan.